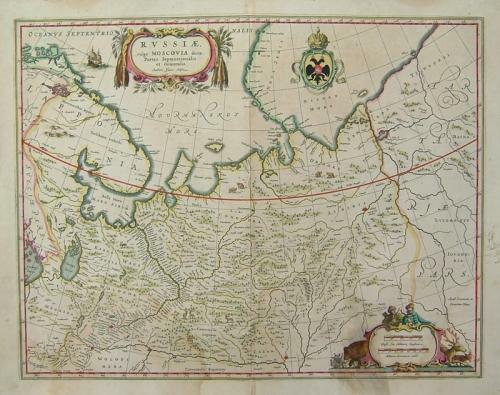 An elegant map of Russia from the 'Theatrum Orbis Terrarum sive Atlas Novus'. A decorative title cartouche and scale and the tsarist coat of arms, decorated with sailing ships, bears, reindeer. In good condition with some minor toning and a 3 cm lower centerfold split. A small (1 cm) area of thinness within the image.